Chili powder, peppers, and tomatoes flavor this easy pinto bean chili. The recipe is made with dry pinto beans which are cooked in the slow cooker and then combined with the browned ground beef. Serve these flavorful pinto beans with freshly baked cornbread and a basic tossed salad. Or serve chili over hot cooked rice or spaghetti. Chili freezes beautifully, so make extra and freeze half for a future meal. The leftovers can be used in a variety of dishes. Add leftover chili to burritos, omelets, or tacos, or use the chili as a topping for nachos or baked potatoes. See the tips and variations for more ideas. Rinse and sort the pinto beans, picking out any malformed beans or small stones. Combine the pinto beans and water in crockpot. Cover and cook on HIGH for 3 hours or until beans are tender (this step can be done quickly on the stovetop as well). Heat the vegetable oil in a large skillet over medium heat. Add the onions, bell pepper, and hot pepper and cook until softened. Add the ground beef to the skillet and cook until no longer pink, turning and stirring frequently. Drain thoroughly and transfer to the slow cooker. Add the tomatoes and chili powder to the beef and beans; stir to blend. Taste and add salt and freshly ground black pepper, as needed. Reduce the slow cooker heat setting to LOW; cover and cook for 3 to 4 hours longer. 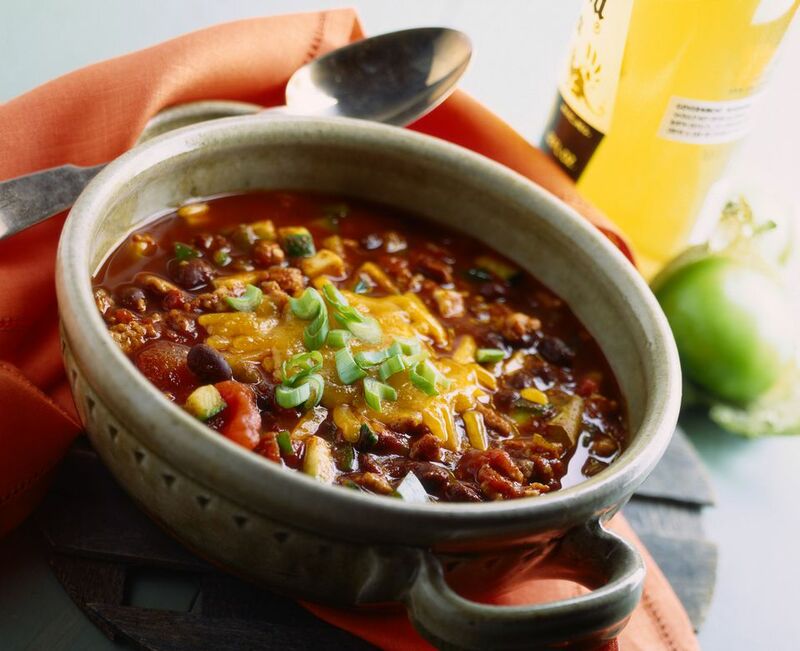 Top chili servings with your favorite optional garnishes. Use small red beans or great northern beans in the recipe. Refrigerate or freeze leftovers for a future meal. Or double the batch and freeze half. For a leaner chili, use very lean ground beef or ground turkey or chicken thighs. Add another pound of ground beef for a "meat-lovers" chili. Replace some of the ground beef with lean ground pork or add 1/2 to 1 pound of ground pork to the ground beef. Use leftover chili in burritos, tacos, or in omelets, or use it as a pasta topper. It makes a tasty topping for baked potatoes, too! For fast microwave lunches, freeze leftovers in single-serve portions.